Innovation Exhibits is your best source for branded face-to-face environments that are on point, on time and within budget. Companies are looking for trade show exhibits that are more innovative and dynamic to help them stand out from their competition. They want more than just the simple cookie-cutter designs. They want style. They want technology. They want something that’s going to make their audience swoon, and their rivals sweat. Bottom line: your competition is upping the ante…and so are we. 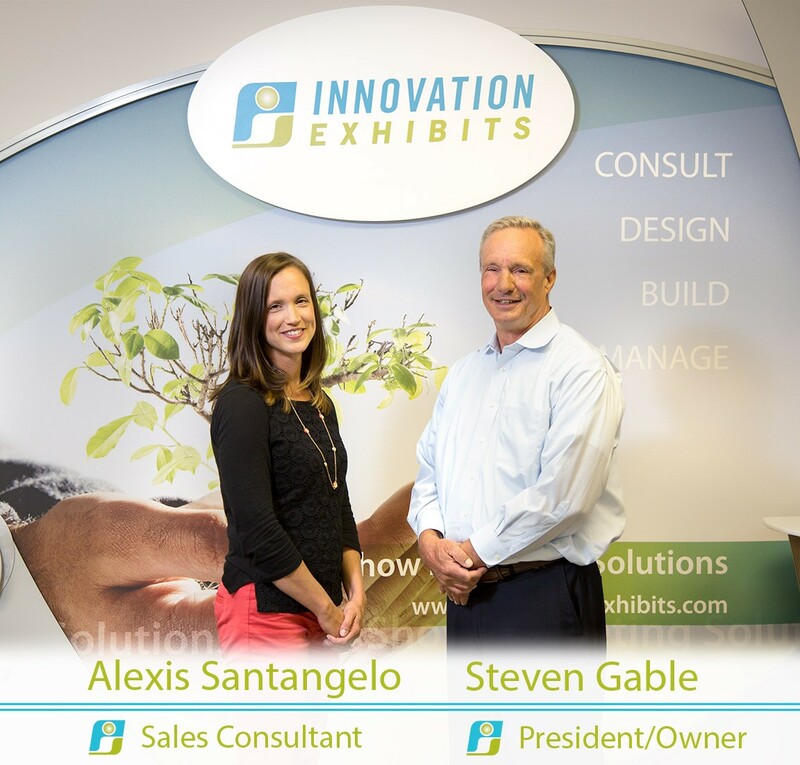 Since 1994, Innovation Exhibits has developed its own successful process of building industry-specific custom tradeshow exhibits that incorporate the best materials along with a clean, modern design. Our corporate office based in Boardman, Ohio, is fully equipped to handle projects of any size and scope, and our talented team of designers and craftsmen continue to push the envelope by seamlessly integrating the latest technology and multimedia equipment. We start the design process months in advance to make sure we satisfy every detail you specify. What’s more, we take the time to get to know your company and your industry, so the final product is more than just a booth – it’s a true representation of your company’s personality and the nature of your work, giving your audience an experience they won’t forget by the time they leave the trade show. We’ve served local small businesses and Fortune 500 companies, both international and domestic, with equal respect and attention to detail. All projects are built to what you need, not what we have in our inventory – we don’t upsell to our clients and we’re proud of that. Through our strategic partner network, we also provide our clients with single-source service for event registration, consultation, and installation and disassembling of the exhibit at the show site. Need additional electrical work, lighting, or audio equipment for in-booth presentations? No problem! We’ll coordinate our efforts with the tradeshow staff to ensure your booth is ready to go, and we always take care of any last minute glitches on the show floor to ensure your exhibit meets all expectations in time for the show opening. At Innovation Exhibits, our name is our guarantee, as our products continue to raise the bar of the tradeshow exhibit standard. We pledge to provide each customer with the kind of personalized experience you would expect from a family-owned business while building distinguished branded environments. New location to be announced!